My name is Michael Cochrane, owner/operator of Cochrane Roofing and Siding. I am a second generation Roofer/Carpenter since my father started the business in 1967. By employing the most experienced roofing professionals, my team completes almost every roof in one day or less! Our commitment to excellence allows us to guarantee all of the roofing work we complete from small residential builds to expansive commercial roofing projects. Furthermore, our company carries full insurance protection and maintains specialty licensing for the roofing trade. This allow us to approach each task with the skills and knowledge needed to exceed expectations every time. No job is too big or too small for our skilled team of professionals. 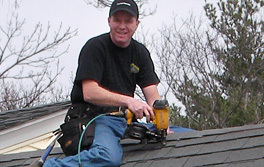 We provide Roofing, Siding, Carpentry and Snow Removal services to Sharon, Canton, Walpole, Stoughton, Easton, Mansfield, Foxborough, Norwood and surrounding Massachusetts communities. Now Serving the Dover, Sherborn and Holliston Area!